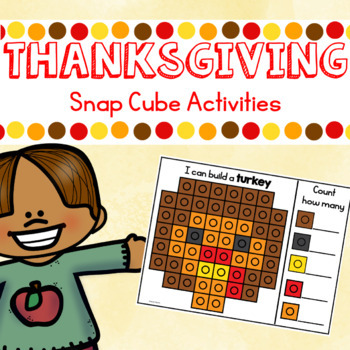 Thanksgiving snap cubes templates are the perfect themed math center for your kindergarten classroom. 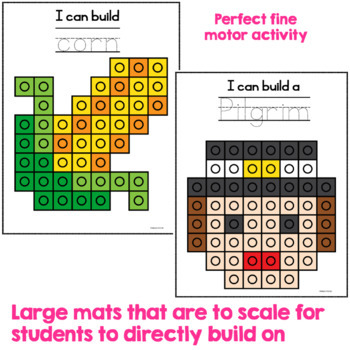 They are great for tactile learners as morning work, for early finishers, or a math center. 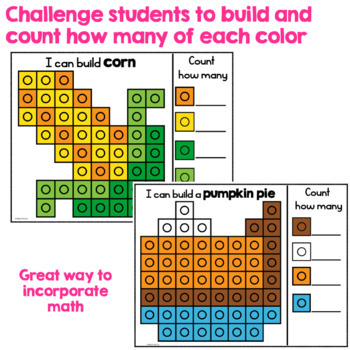 Students create a picture and can then count how many snap cubes are used in the picture. 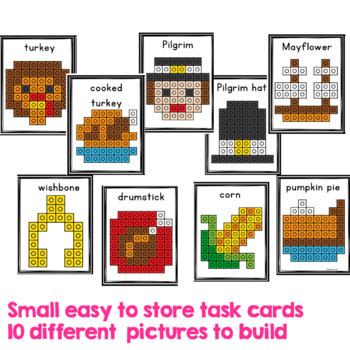 Includes 11 different puzzles (pumpkin, corn, cooked turkey, turkey, drumstick, wishbone, Pilgrim, Pilgrim hat, Mayflower, Native American). Also includes a recording sheet that is a great way to incorporate literacy where students label a picture.